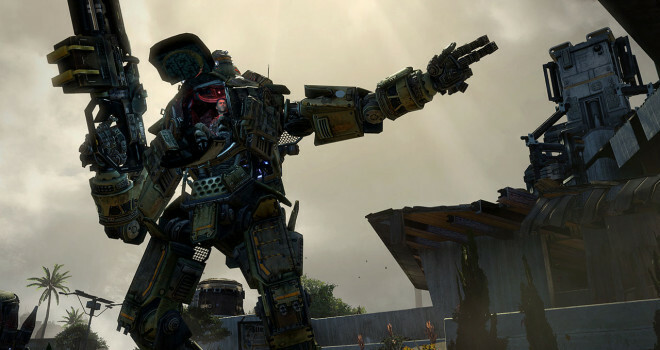 TitanFall is finally hitting store shelves tomorrow, and so far the title has received plenty of favorable scores from reviewers. For many, this game serves as the first reason why gamers purchased an Xbox One. But there appears to be a problem that could potentially ruin intense online battles. Even running at a resolution of 792p, it seems as if TitanFall is having issues maintaining a stable frame rate according to Giant Bomb’s Jeff Gertsmann. The frame rate in Titanfall is uneven on the Xbox One and though it’s usually fine, it can get downright nasty in specific situations. In one Last Titan Standing match–where every player spawns in a robot suit–several players crammed their mechs into a tight area and began duking it out, and the frame rate dived down to what must have been single digits per second. Even out in wider areas, the game feels a little hitchy from time to time, and there’s noticeable tearing throughout. Normally, something like this wouldn’t be much of a big deal, but this situation is particularly strange with TitanFall. As mentioned before, the game runs only in 792p (which is of course barely more pixels than a 720p game), and the game also doesn’t seem to be visually demanding at all. Add these factors in with the fact that the game runs on the Source Engine and was originally made for the 360, and it really becomes a head-scratcher. Why exactly is this title having frame-rate issues? Maybe Gertsmann is over-blowing the situation? Or maybe these severe frame-rate issues are limited to specific situations such as the one he described. Well, I guess we’ll all find out in a few hours when TitanFall releases this midnight. Let the hate comments commence in 3…2…1…. Should have always stayed PC only. As it was originally intended. free minecraft codes for you my friends.